Hey Big Dog Tripawds, here’s a great sale to tell your pawrents about. 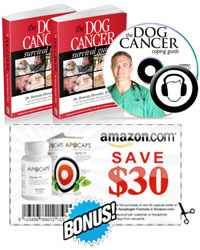 Dog cancer vet Dr. Demian Dressler, author of The Dog Cancer Survival Guide, is having a sale on his proprietary immune boosting formula for dogs battling cancer, Apocaps CX Apoptogen Formula. As we mentioned back in June, from now until September 30, all Tripawds members can save big bones on Apocaps by ordering here via Tripawds’ Amazon Blog. And there’s even more savings . . . Remember, Apocaps is for dogs with cancer, and this powerful formula is not recommended as a cancer preventative. Please read more about how it can help your dog. This BigDog owner is gonna order and save! WOW! I lost my sweet Bella in February to Osteosarcoma. 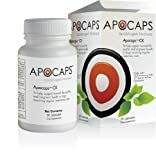 I have a bottle of Apocaps that is 3/4 full and will donate to anyone that emails me. We are so sorry for your loss. Bless you for your generosity. Since email addresses are not exposed to readers, please consider posting this in the Tripawds Angel Exchange. Thank you.